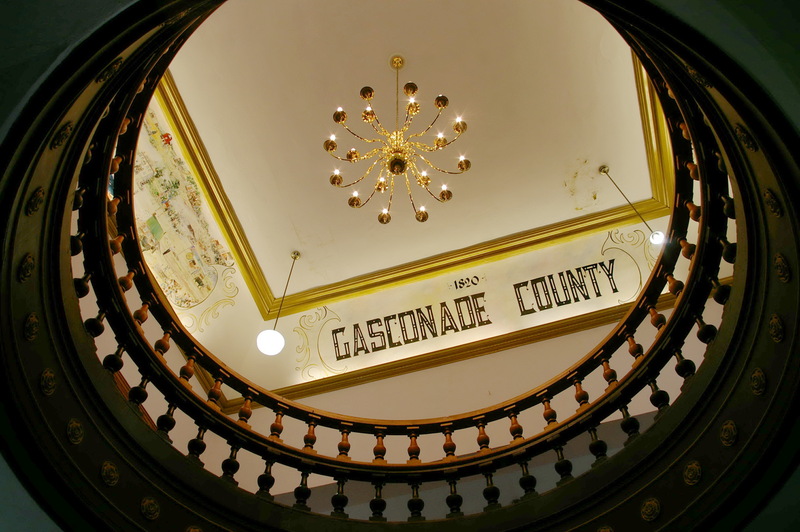 Gasconade County is named for the Gasconade River which river derives its name from the French word “gascon” meaning “braggart” and could be an old satirical name describing those who boast about their adventures upon return to St. Louis. 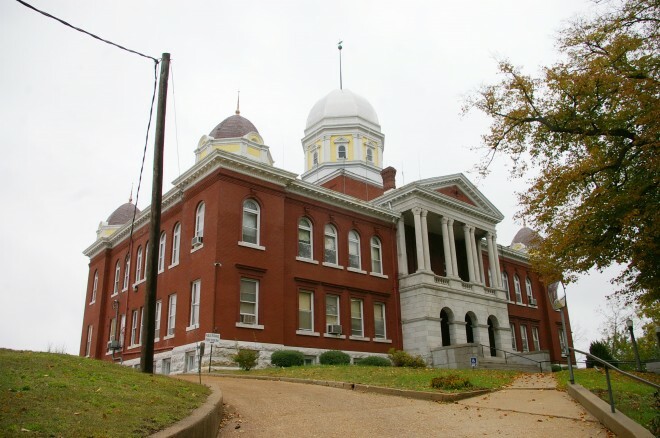 Description: The building faces south and is a two story red colored brick and stone structure. The south front has a portico with three arches on the first story and eight thin columns on the second story with pediment above. 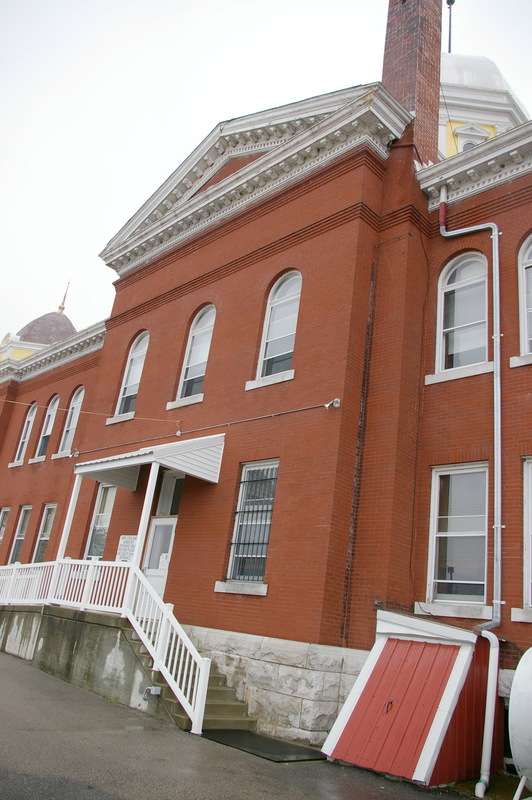 The building is 143 by 88 feet and sits atop a hill along the Missouri River. 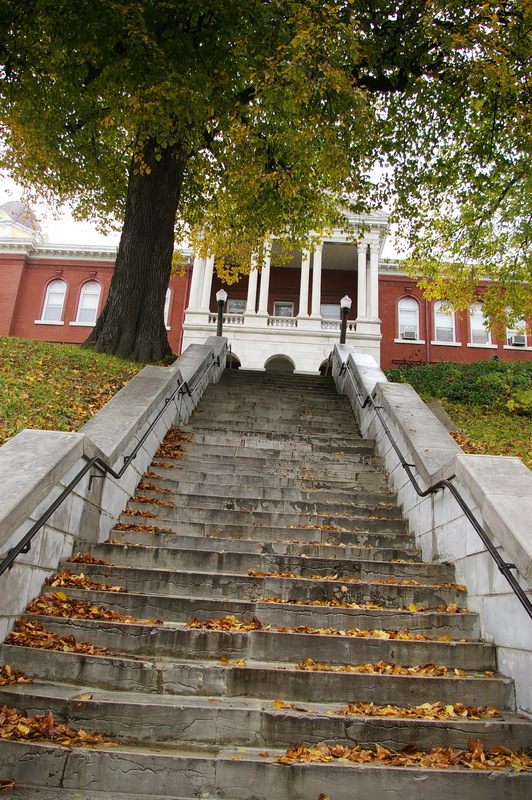 The base of the building is course stone. 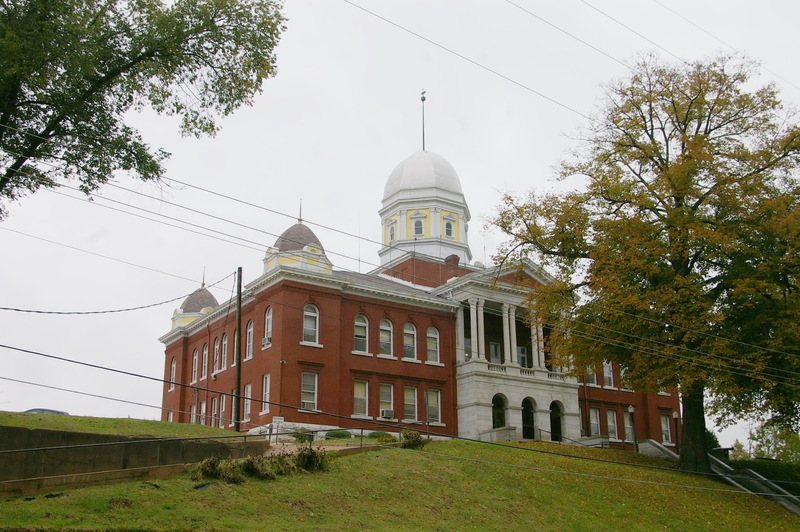 On the center of the roof is an octagonal dome with white roof. 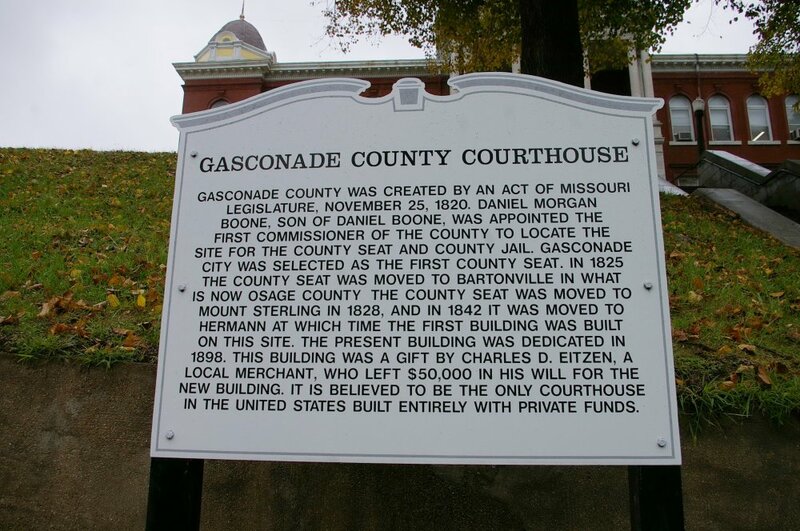 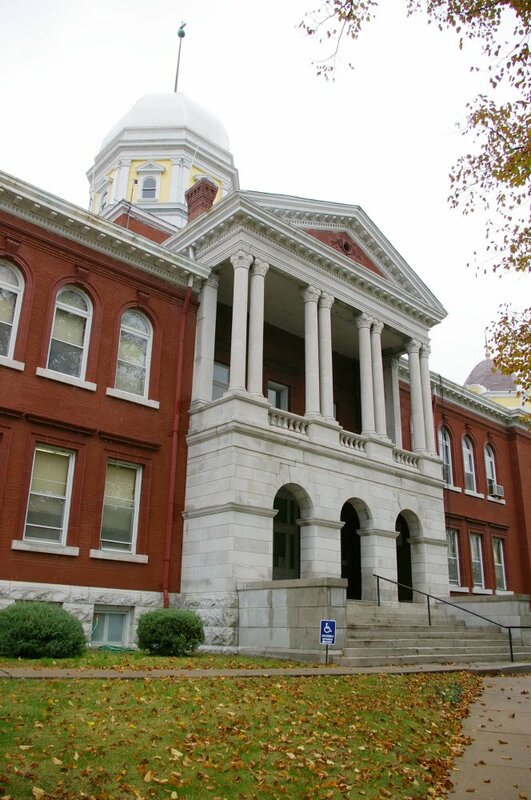 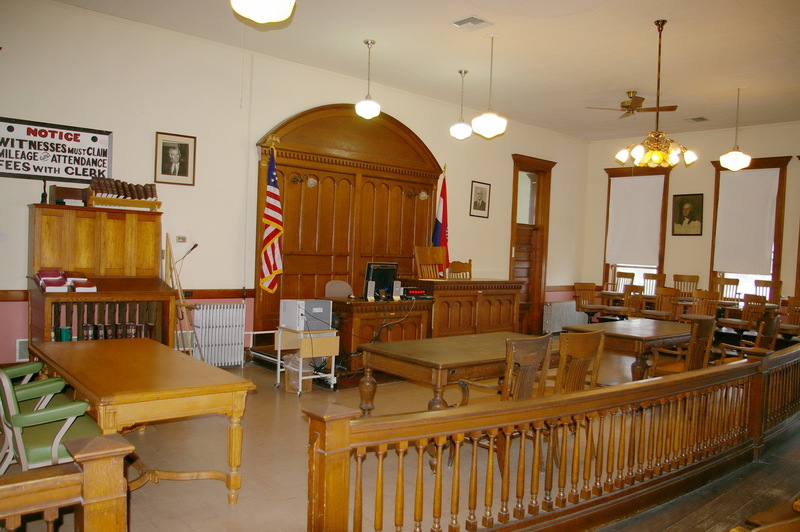 Note: The first courthouse located at Gasconade City was built by Joshua Cox in 1830 at a cost of $300, and was moved to Mount Sterling in 1832. 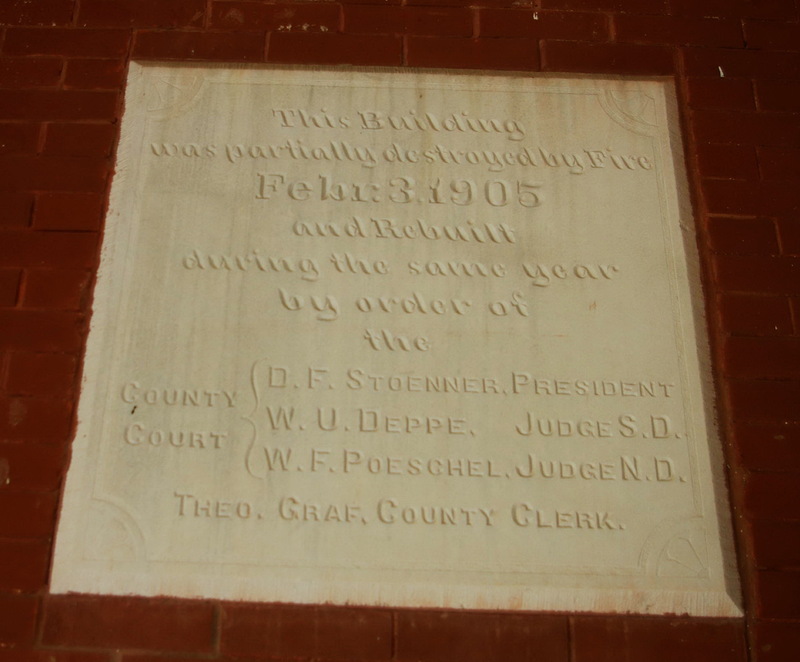 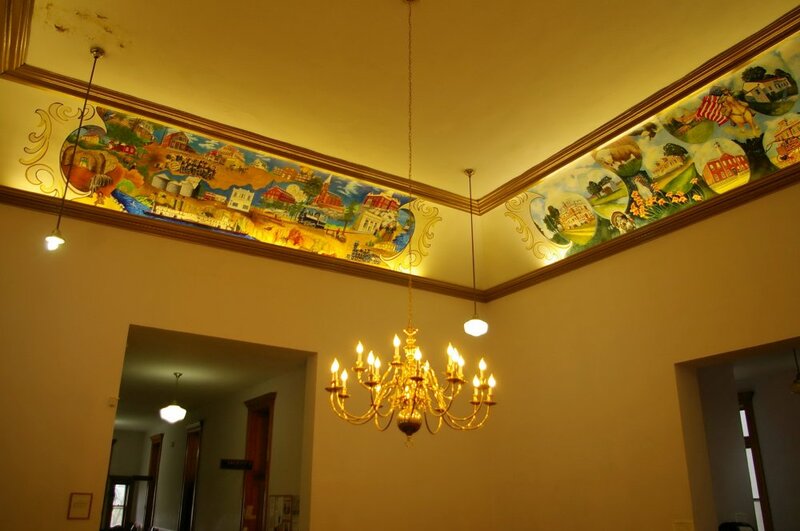 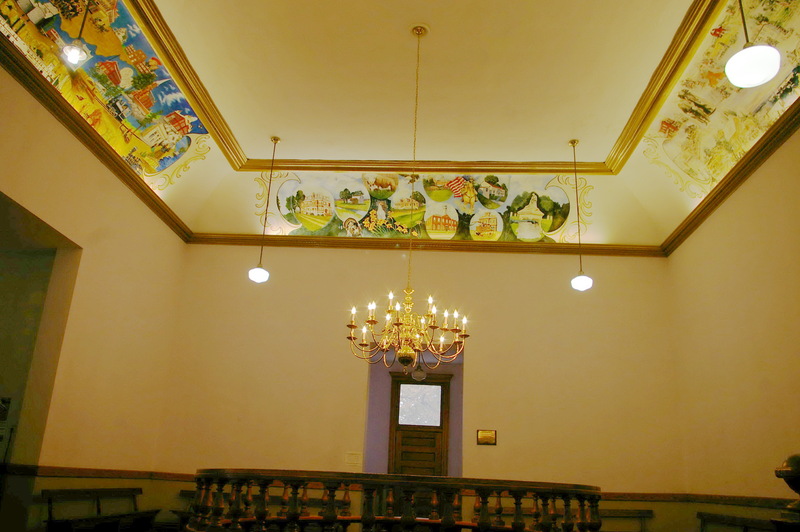 The second courthouse was built in Hermann in 1842 at a cost of $3,000. 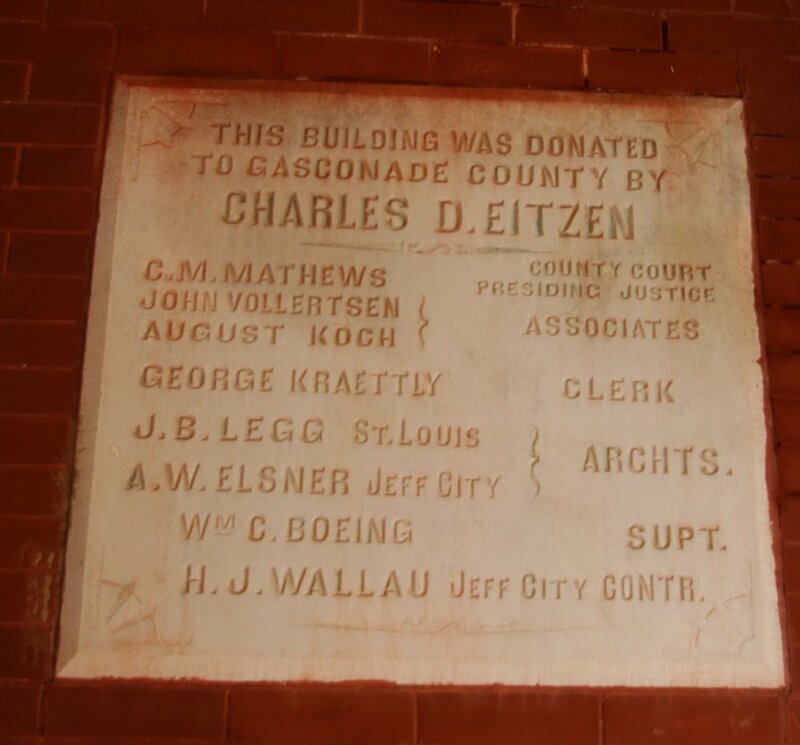 The present courthouse was constructed at a cost of $41,500.